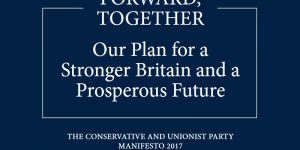 The World’s Great Meritocracy is part of the Conservative Parties 2017 General Election Manifesto. More good school places, ending the ban on selective schools and asking universities and independent schools to help run state schools. World class technical education, underpinned by prestigious new institutes of technology with the freedoms that make our universities great. We have done much in recent years to break down longstanding divisions in our country. Yet some social injustices endure. If you are at a state school you are less likely to reach the top professions than if you are educated privately. If you are a white, working-class boy, you are less likely than anybody else in Britain to go to university. If you are black, you are treated more harshly by the criminal justice system than if you are white. If you are born poor, you will die on average nine years earlier than others. If you are a woman, you will earn less than a man. If you suffer from mental health problems, there is not enough help at hand. These are burning injustices that damage the unity of our country, and we will address them. The truth is that if we are to make Britain the world’s Great Meritocracy, we also need to do much more to support millions of people who live in ordinary, working families. Because life is often much harder for these families than many in positions of power seem to realise. They might have a job, but not always job security; they might be homeowners, but they worry about paying the mortgage and wonder if their children will be able to afford a home of their own; they can just about manage, but worry about the cost of living and getting their children into a good school. They deserve a government that is on their side. The greatest injustice in Britain today is that your life is still largely determined not by your efforts and talents but by where you come from, who your parents are and what schools you attend. This is wrong. We want to make Britain the world’s Great Meritocracy: a country where everyone has a fair chance to go as far as their talent and their hard work will allow, where advantage is based on merit not privilege. To succeed, we must redouble our efforts to ensure that everyone, no matter who they are or where they are from, can have a world-class education. There remains a long way to go. For too many children, a good school remains out of reach. There are still 1 million children in primary and secondary schools rated by Ofsted as ‘requires improvement’ or ‘inadequate’. If schools across the Midlands and north of England had the same average standards as those in the south, nearly 200,000 more children would be attending good schools. We need to give every child in our country the best possible education if we are to provide them with the best opportunities in the world. We will lift the ban on the establishment of selective schools, subject to conditions, such as allowing pupils to join at other ages as well as eleven. Contrary to what some people allege, official research shows that slightly more children from ordinary, working class families attend selective schools as a percentage of the school intake compared to non-selective schools. While the attainment gap between rich and poor pupils stands at 25 per cent across the country, at selective schools it falls to almost zero. A Conservative government will strengthen the teaching of literacy and numeracy in the early years so that all pupils – regardless of background – get the best possible start in life. We will build on the success of the phonics screening test. We will expect every 11-year-old to know their times tables off by heart. To maintain progress as children go through secondary school, we will improve schools’ accountability at key stage 3. We will expect 75 per cent of pupils to have been entered for the EBacc combination of GCSEs by the end of the next parliament, with 90 per cent of pupils studying this combination of academic GCSEs by 2025. In order to fund these commitments, we have taken an important decision. We do not believe that giving school lunches to all children free of charge for the first three years of primary school – regardless of the income of their parents – is a sensible use of public money. There is now good evidence that school breakfasts are at least as effective in helping children to make progress in school. So under a new Conservative government, schools in England will offer a free school breakfast to every child in every year of primary school, while children from low-income families will continue to receive free school lunches throughout their years in primary and secondary education. The savings made from this change will be added to the core schools budget, meaning that every penny saved will go towards children’s education. For too long in this country, technical excellence has not been valued as highly as academic success. We want British technical education to be as prestigious as our world-leading higher education system, and for technical education in this country to rival the best technical systems in the world. This will require bold reform of the funding, institutional and qualifications frameworks for technical education, in partnership with British industry. We have already introduced high quality apprenticeships that can reach to degree level and beyond for the 200,000 young people who choose to enter full-time vocational study after their GCSEs each year. We now need to go further to improve technical education and offer young people a real choice between technical and academic routes at sixteen. We will start by replacing 13,000 existing technical qualifications with new qualifications, known as T-levels, across fifteen routes in subjects including construction, creative and design, digital, engineering and manufacturing, and health and science. We will increase the number of teaching hours by fifty per cent to an average of 900 hours per year and make sure that each student does a three-month work placement as part of their course. And we will extend our reforms to the highest levels of technical qualification. We will invest in further education colleges to make sure they have world-class equipment and facilities and will create a new national programme to attract experienced industry professionals to work in FE colleges. We will establish new institutes of technology, backed by leading employers and linked to leading universities, in every major city in England. They will provide courses at degree level and above, specialising in technical disciplines, such as STEM, whilst also providing higher-level apprenticeships and bespoke courses for employers. They will enjoy the freedoms that make our universities great, including eligibility for public funding for productivity and skills research, and access to loans and grants for their students. They will be able to gain royal charter status and regius professorships in technical education. Above all, they will become anchor institutions for local, regional and national industry, providing sought-after skills to support the economy, and developing their own local identity to make sure they can meet the skills needs of local employers. We will put employers at the centre of these reforms. We will deal with local skills shortages and ensure that colleges deliver the skills required by local businesses through Skills Advisory Panels and Local Enterprise Partnerships working at a regional and local level. We will deliver our commitment to create 3 million apprenticeships for young people by 2020 and in doing so we will drive up the quality of apprenticeships to ensure they deliver the skills employers need. We will allow large firms to pass levy funds to small firms in their supply chain, and work with the business community to develop a new programme to allow larger firms to place apprentices in their supply chains. We will explore teaching apprenticeships sponsored by major companies, especially in STEM subjects. We will, therefore, continue to bear down on immigration from outside the European Union. We will increase the earnings thresholds for people wishing to sponsor migrants for family visas. We will toughen the visa requirements for students, to make sure that we maintain high standards. We will expect students to leave the country at the end of their course, unless they meet new, higher requirements that allow them to work in Britain after their studies have concluded. Overseas students will remain in the immigration statistics – in line with international definitions – and within scope of the government’s policy to reduce annual net migration. To make Britain the world’s Great Meritocracy, where your talent and hard work, not who you are or where you come from, determine your life chances, we must look beyond divisions in educational opportunity. We must tackle the burning injustices that Theresa May identified on the steps of Downing Street last year: longstanding, entrenched injustices that affect people of different ethnicities, genders and those with disabilities and mental ill health. We will take measures to close the gender pay gap. We will require companies with more than 250 employees to publish more data on the pay gap between men and women. We shall continue to work for parity in the number of public appointments going to women, and we shall push for an increase in the number of women sitting on boards of companies. We will take steps to improve take-up of shared parental leave and help companies provide more flexible work environments that help mothers and fathers to share parenting. We want to help those who have been caring for a child or children for a number of years or supporting an elderly relative. For these people, returning to work can be daunting: things have moved on and people worry that their skills have been eroded. We will address this, providing parents and carers with the confidence to return to work when and how they wish. So we will support companies to take on parents and carers returning to work after long periods of absence and back similar schemes in the public sector, including the country’s biggest employer, our NHS. Alongside that assault on injustice, we will tackle those issues we already know about head on. We will strengthen the enforcement of equalities law – so that private landlords and businesses who deny people a service on the basis of ethnicity, religion or gender are properly investigated and prosecuted. We will legislate to mandate changes in police practices if ‘stop and search’ does not become more targeted and ‘stop to arrest’ ratios do not improve. We will reduce the disproportionate use of force against Black, Asian and ethnic minority people in prison, young offender institutions and secure mental health units and we will legislate here too if progress is not made. We will launch a national campaign to increase the number of Black, Asian and ethnic minority organ donors to cut the long waiting times for patients from those groups and save more lives. We will also ask large employers to publish information on the pay gap for people from different ethnic backgrounds. We will transform how mental health is regarded in the workplace. We will amend health and safety regulations so that employers provide appropriate first aid training and needs-assessment for mental health, as they currently do for risks to physical health, and extend Equalities Act protections against discrimination to mental health conditions that are episodic and fluctuating. We will consider the findings of the Stevenson-Farmer Review into workplace mental health support, working with employers to encourage new products and incentives to improve the mental health and wellbeing support available to their employees. And, as we did with Dementia Friends, we will train one million members of the public in basic mental health awareness and first aid to break the stigma of mental illness. Breaking down long-standing social divisions in our society means tackling everyday economic pressures that hold back ordinary, working families. Government can help with the cost of living by keeping tax as low as possible. 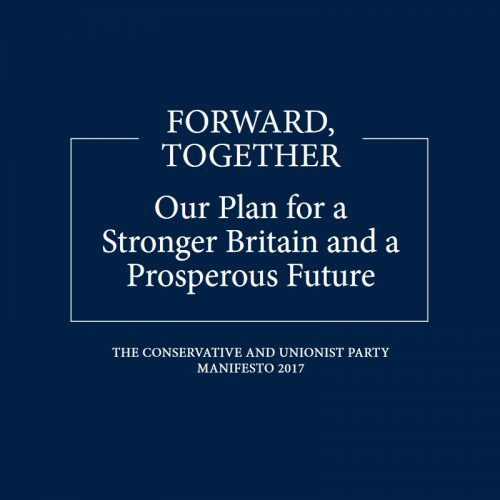 As we set out in chapter one we want to reduce taxes on British businesses and working families. But government can also help by making consumer markets work more fairly, and in doing so reducing the cost of the essentials that families have no choice but to buy. These costs make up a much larger share of working class household budgets than those of better-off households. We will also act in specific markets. A Conservative government will reform and modernise the home-buying process so it is more efficient and less costly. We will crack down on unfair practices in leasehold, such as escalating ground rents. We will also improve protections for those who rent, including by looking at how we increase security for good tenants and encouraging landlords to offer longer tenancies as standard. We will make billing for telecoms customers fairer and easier to understand, including making clear when a mobile customer has paid off the price of their handset. We will consider a ban on companies cold calling people encouraging them to make false personal injury claims. We will take steps to tackle rogue private parking operators. We will reduce insurance costs for ordinary motorists by cracking down on exaggerated and fraudulent whiplash claims. We will review rail ticketing, removing complexity and perverse pricing, and introduce a passenger ombudsman to stand up for the interests of rail users suffering a poor deal. We will work with train companies and their employees to agree minimum service levels during periods of industrial dispute – and if we cannot find a voluntary agreement, we will legislate to make this mandatory. First, we will ensure that smart meters will be offered to every household and business by the end of 2020, giving people control over their energy bills that they have not had before. We will go further. We will introduce a safeguard tariff cap that will extend the price protection currently in place for some vulnerable customers to more customers on the poorest value tariffs. We will maintain the competitive element of the retail energy market by supporting initiatives to make the switching process easier and more reliable, but the safeguard tariff cap will protect customers who do not switch against abusive price increases.